This is the time of year for commencement speeches. A time when speakers pass out tips to graduates who may or may not take them. I’ve heard many commencement speeches over the years, but I don’t remember most of them. One that did stand out was a speech by Dr. A. Lynn Bryant, president of Marycrest College from 1981-1986. 3. Don’t ever ever give up. Greg Gutfeld of Fox News, one of five commentators on a talk show called “The Five,” recently used the program to offer some advice to graduates. But he prefaced it by saying that college commencement addresses are usually garbage. That, of course, is a generalization and not always the case. My wife, Sherry, has an iPod, an iPad and an iPhone. I don’t have any of those. It’s my choice. I’m really quite happy with the technology of the 1980s — or prior. So I jokingly asked Sherry if one of my cassette recorders/players would qualify as smart technology. “Do you know how to operate it?” she asked. “Then no, it’s not,” she said wryly. The platoon. 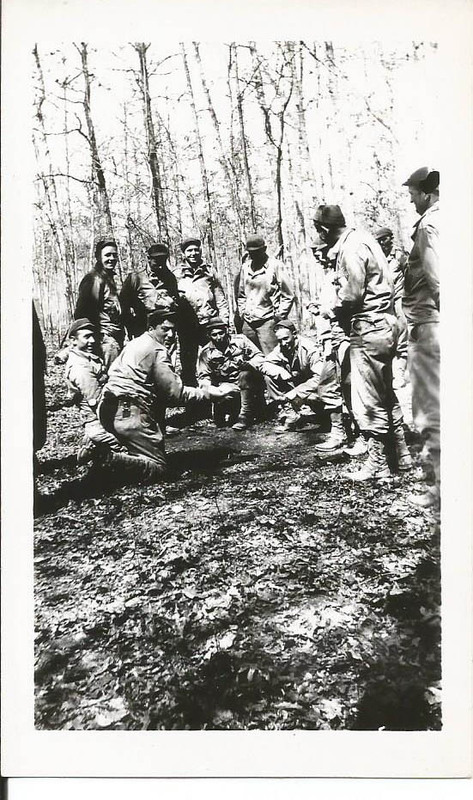 I believe my dad is kneeling in the back row in front of the man without a helmet. Philip Ingraham, left, and his men. That may be Ray Roberts on the left in the back row next to Philip Ingraham. 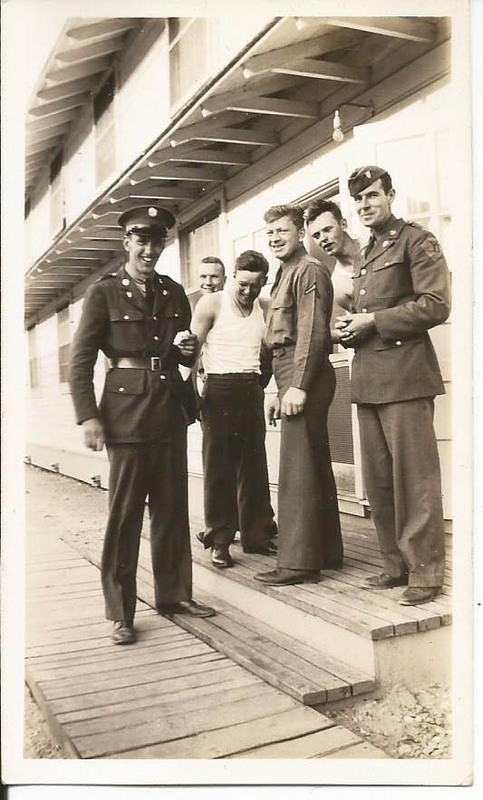 The man who is second from the left appears to be Ray Roberts. “You’ve got a message on the answering machine,” my wife told me (on May 8). The call had come in while I was at lunch with some retired broadcaster friends. I pressed the play button on the answering machine. 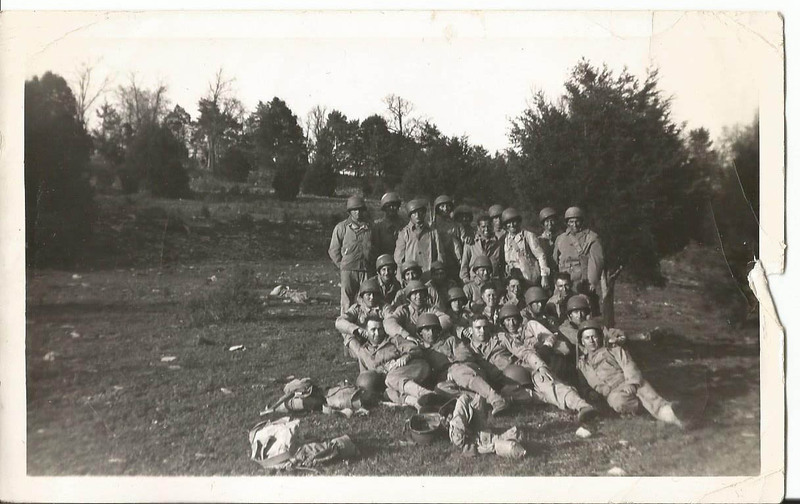 A man from Connecticut who identified himself as Paul Gould said in the recorded message that he had acquired some photographs of soldiers from my father’s unit in World War II. He said one of the men pictured was Capt. Philip Ingraham, for whom I was named, and he said he probably had photos of my dad as well. He left his phone number and asked me to call him. I was stunned. I soon picked up the phone and dialed his number. Before I get into the conversation we had, let me give you some background. My dad, H. Raymond Roberts, who died in 2004, was born and raised in Hannibal, Mo. 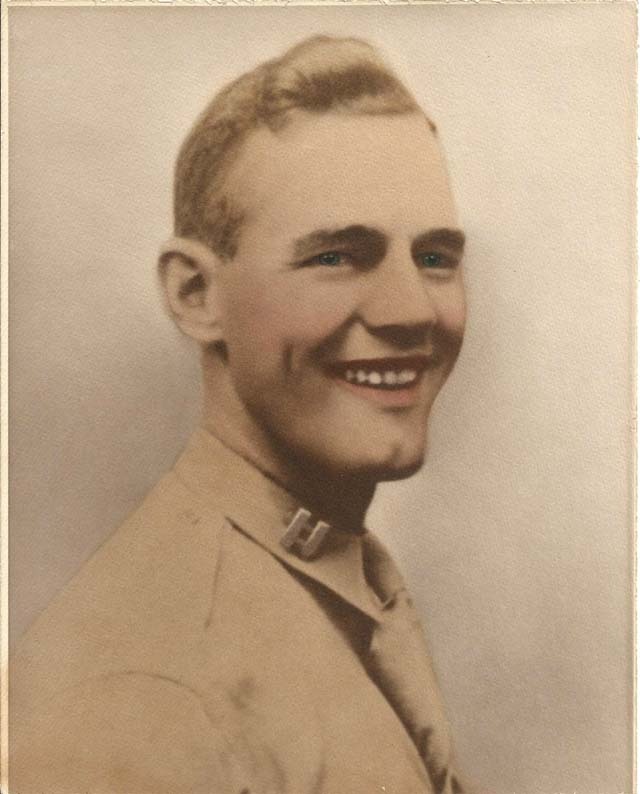 Stirred into action by the December 1941 bombing of Pearl Harbor, he enlisted in the Army infantry in 1942. His commanding officer and soon to be his good friend was First Lt. (and later Capt.) Philip Ingraham. But Ingraham lost his life in 1944. 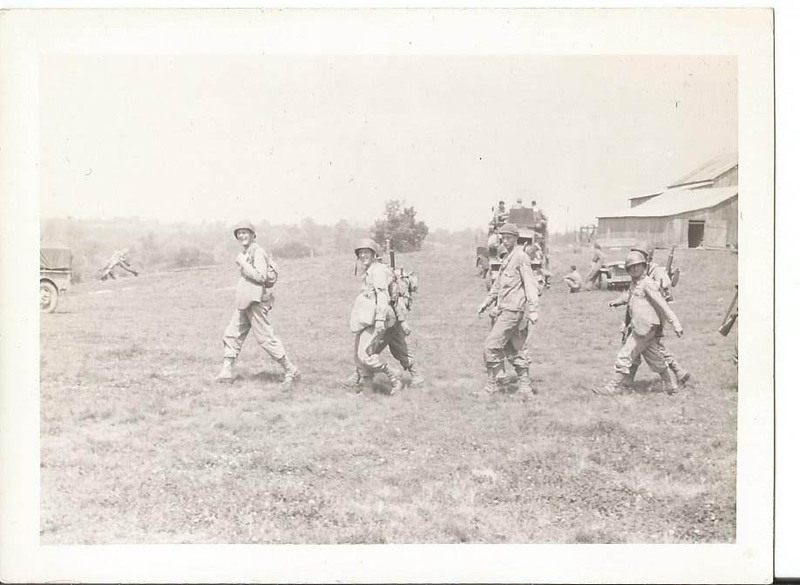 “On July 4, we formed a line and advanced across a wheat field for maybe 200 yards to get to the hedge rows on the other side,” wrote Dad, who ended up a first sergeant. “We had no problem until we got to the hedge rows. There they were. The Germans were waiting for us. Capt. Ingraham told me to take a couple runners and go to our left behind the hedge row, as we were out in the open. I didn’t know how far he wanted us to go, so I stopped and waved to him to see if we had gone far enough. “He raised his hand, and I saw him go down. I believe that was when he was shot. … The next day we had to advance over the same field we had lost the day before. That is bad because you know every place that a German could be and the possibility of finding bodies of guys you lost the day before. “The Germans had moved out at night, so that was good. But we did find Capt. Ingraham’s body. He had been shot in the head. There were other bodies. 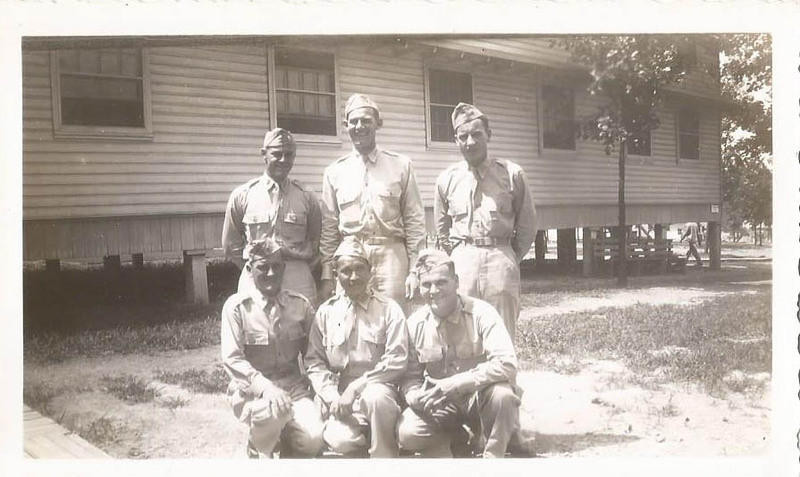 “I will never forget July 4, l944, and will never celebrate the Fourth of July,” my dad wrote. “You know, this is a good time to write about Capt. Philip Ingraham. 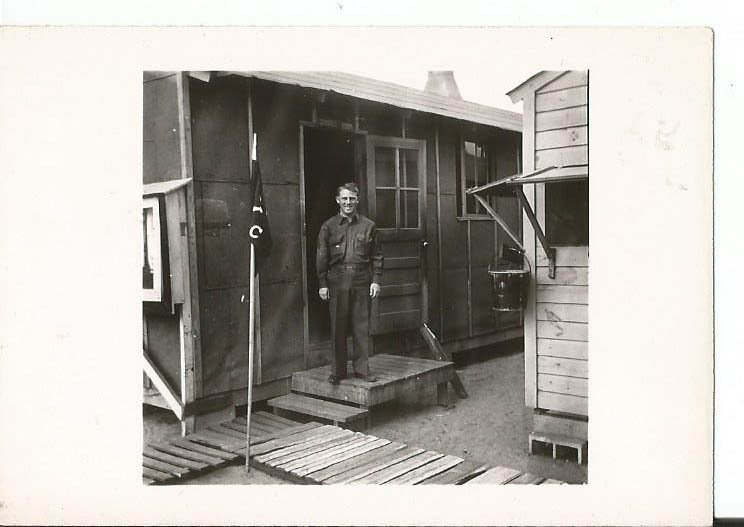 He was a second lieutenant when he joined Company C in the states. He was with us for a long time. I worked very close with him as company clerk and communications sergeant. “In combat I was always by his side and available when he needed me. He was the best officer under which I served. He always looked after his men in his company. He always told us to solve our own problems in our area but, if we got into trouble in town, he would do what he could. 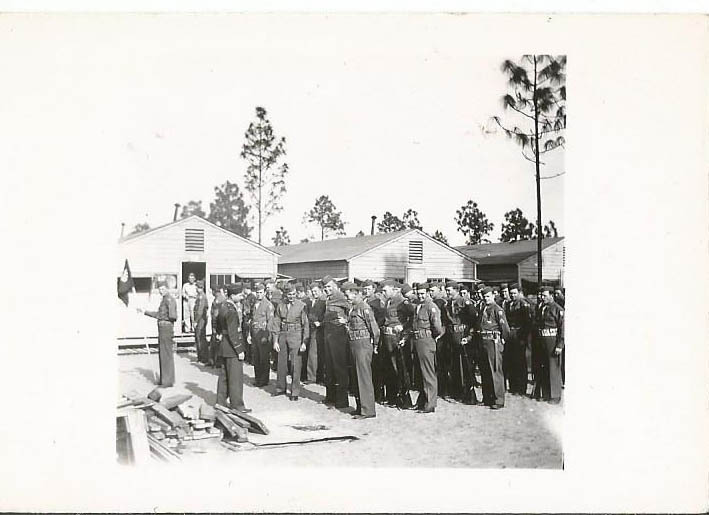 Conflicts within our company confines would not be reported but instead handled as a private matter in Company C.
In a November 2011 posting in my blog, I wished my late father a happy Veterans Day and mentioned briefly how I got my first name. I also posted my father’s picture and one of Capt. Ingraham. It was that posting in my blog on the Internet that led to the phone call from Paul Gould. 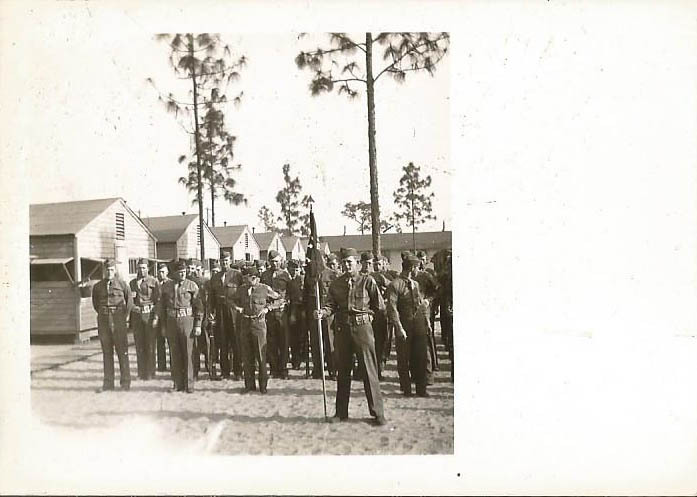 He had purchased at a flea market some items, including the Army photos, that had belonged to a Philip Ingraham. 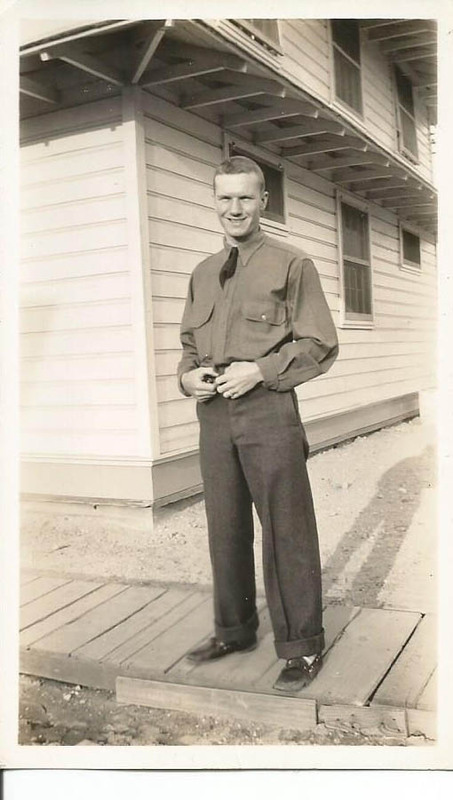 Since that phone call, Paul has scanned and emailed to me a number of photographs, some of which do include my father and my namesake, Philip Ingraham. I am thankful that Paul Gould bothered to do an Internet search. And I’m grateful that he cared enough to pick up the phone and call me. The first Iowa state trooper killed in the line of duty has not been forgotten. 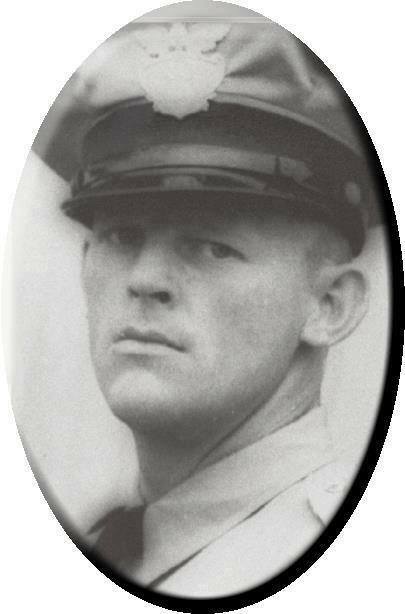 29, 1936, death of Patrolman Oran “Nanny” Pape (pictured in the Iowa State Patrol photo), who died in Muscatine County. Pape was traveling around 5 p.m. on April 28 on former Highway 61 near Fairport when he stopped a car he believed to have been stolen. As he approached the car, the driver, Roscoe Barton, a 23-year-old parolee from Davenport, pointed a gun at Pape and ordered him into the car. As they traveled down the highway, Pape grabbed Barton and the two men struggled. Two shots were fired. One bullet struck Barton in the head, and he died instantly. The other went into Pape’s abdomen and groin, seriously wounding him. But he was able to stagger out of the car and hail a passing vehicle for help. He was rushed to Hershey Hospital in Muscatine, where doctors tried in vain to save him. But he died early the next day, the first member of the patrol to die in the line of duty and the only officer murdered. Pape’s death made national news. One reason was his past success as a star football player at Dubuque High School and the University of Iowa. He also had played football for the Green Bay Packers and was a part of the 1930 NFL championship team. In a page one story with a headline that read “Former Grid Star Killed,” the April 30, 1936, edition of the Lancaster (Ohio) Eagle- Gazette said, “State Highway Patrolman Oran H. Pape — former University of Iowa football star who has proved as heroic in a gun battle as he was on the gridiron — succumbed early today to a wound inflicted by a bandit he killed. Iowans donated money to Pape’s widow after his death. The Iowa Highway Patrol, now known as the Iowa State Patrol, was a relatively new organization when Pape served. Pape, who had badge no. 40, was one of the 50 original troopers. An article in the October 18, 1936, Cedar Rapids Gazette noted that the patrol first started to function Aug. 1, 1935, and that its future was up to the next Legislature. has been pretty thoroughly settled by the first year’s record — but concerns the problem of expanding the organization. In 2012, the Iowa Department of Public Safety (DPS) and elected officials honored the legacy of Patrolman Oran “Nanny” Pape by renaming the DPS Building the Oran Pape State Office Building. Also named in Pape’s honor that year was the westbound Iowa 80 bridge over the Cedar River at mile marker 265. Copyright 2015 by Phil Roberts, Creative Enterprises. This piece was submitted as a news story to the North Scott Press, Eldridge. Iowa, and the Advocate News, Wilton, Iowa.